(NC)/ Additional Superintendent of Police (Civil) – Orders – Issued. 1. 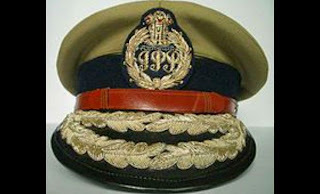 M. Ravindranath Babu SP(NC) (waiting) He is posted as RV&EO, V&E, in the existing vacancy. created post vide G.O.Ms.No.50, Finance (HR.II) Dept., dated.01.04.2016. 4. Y.T. Naidu RV&EO, V&E On transfer he is posted as Addl.SP, Crimes, Guntur Rural, vice Smt. T. Sobha Manjari, transferred. 5. T. Sobha Manjari Addl. SP, Crimes,Guntur Rural On transfer she is posted as RV&EO, V&E, in the existing vacancy. requested to take necessary further action in the matter.